Green Home Building - Articles at House Plans by Designs Direct. Most people who are considering building a home have given at least some thought to building green, but because of the overwhelming amount of information many don’t know where to begin. We recently had a chat with Todd Usher, President of Addison Homes, the 2007 Earthcraft House Regional Builder of the Year. Here he offers insight into building a home that benefits both the homeowner and the environment. DDHP: What is your experience with green building, and how did you first get involved? Todd: We started building green in 2003. I sat in on an Earthcraft House seminar presented by our local Home Builder’s Association. We were in our infancy as a company, and the ideas they presented were what I consider to be best practices for building - it wasn’t crazy things like geodesic domes and yurts, which many people associate with green building. As I listened, two things occurred to me. First, it made sense, and second, it seemed like a perfect structure on which to set up our business model at a time when we were in the process of doing that. At the time we had just started a new home. I decided it would be a good place to try out all this green “stuff.” I was skeptical - I thought, “well - this all sounds good, but let’s try it and see,” so we did. And that home became our company’s flagship house and a significant testimonial. After seeing that it worked, it became the logical way for us to standardize the way that we build. DDHP: Do you think people come to you specifically because you’re a green builder? Todd: We get a fair amount of phone calls based on that. We often talk in the office about whether people are coming to us because of that, or do they come to us because we’ve got our act together and have an organized approach to how we build, and I don’t know the answer. It’s probably both. But if someone comes to us and they’re not initially interested in “green”, after sitting down and talking about it for 15 minutes it becomes a no-brainer for them. It doesn’t hurt that the media caught onto it a year ago and now it’s the trend; green is “cool.” A year ago we didn’t market ourselves as a green builder, we marketed as a builder of high-performance homes. If you came to the door and said, “do you build green homes?” that would give me permission to say, “yes, we do, we’re a green builder.” But prior to a year ago we really steered clear of saying that because the potential connotation was that we were building huts and tree houses. DDHP: Why do you think it’s important for homeowners to build with green living in mind? Todd: There are a couple of ways to answer that. There are direct reasons for homeowners, such as saving money on power and utility bills, improved indoor environment, improved air quality and comfort. The bigger picture considers the impact we’re having on the Earth and environment. I think different people place different priorities on those reasons. Some folks are very centered on minimizing the impact they have on the environment both today and long term, where others are just, ‘what’s it going to do for me?’ Whatever the reason, we feel it’s worth building green. DDHP: Is the main reason people choose not to build green due to increased costs up front ? Todd: Sometimes, though there is a lot of variation in the cost to build and building green doesn’t always cost more. If they’re talking to a builder who’s doing it for the first time then the expense is probably going to be greater than with someone like us who’s been doing it for years. We’ve pretty well worked out the kinks. We’ve gotten our trades trained so they know how we want things done. They don’t charge us more to do things our way, but often what we want is different from the typical builder so it sticks in their minds and they’re more conscious of what they do and how they do it because they know we’ll be coming behind them checking the details. For example, our graders know that on our jobs they should save the topsoil on site to be used later instead of hauling it away. DDHP: That sounds like something that saves money. Todd: Actually that’s a good point. That customer won’t have to haul in topsoil later because we ditched it somewhere. Another example: we use advanced framing techniques. We do things differently from what most framers are used to doing, but in the end it saves them time and it saves a few pieces of lumber on every house. I think once someone’s over the learning curve the basic approach to building green doesn’t have to cost more. If you decide to use a tankless water heater or install solar panels, those things are going to be more costly, but those also have a payback associated with them over time. Some people will make the investment and some are going to elect not to. Those decisions have an impact on the final cost to build, and they’re very individualized. DDHP: Are there other low or no-cost things to consider when building green? Todd: Site selection and site planning -which includes orienting the house - can be very important. You could pick a very attractive plan that doesn’t lend itself to being very green or energy efficient on the site where you want to build. Typically you don’t want the widest part of the plan to orient East or West because you don’t want the house to become a large solar collector. The widest sides of the house usually have more windows, so a Southern orientation of the side with the most glass is good for passive solar heating in the winter. This depends on your location – if you’re in Miami, Southern exposure might not be that great - you may not want passive solar at all. But in most areas of the country, the sun can help heat the inside of the house in the winter when the sun is lower in the sky. You generally want to avoid a lot of glass on the East or West sides, because that creates load diversity in your HVAC system. In the morning one side of the house is going to be really hot, in the afternoon the other side of the house is going to be really hot, and it becomes difficult to balance out the swinging loads. If you have a lot of glass on those sides, you’re going to have heat gain any way you cut it. Often people don’t have the ability to say, “on this fifth-acre lot I want to rotate the house 90 degrees.” But if you’re early in the process and you haven’t picked a lot yet, don’t even consider lots that face East or West unless there are numerous trees on site, instead look for a lot that faces North or South. Then make sure the plan you pick suits the direction of the lot. DDHP: How about in terms of the actual construction? Todd: Advanced framing techniques optimize the amount of framing used over a traditionally framed house. For example you don’t need to use structural framing techniques on non-structural walls. This wastes lumber and has no purpose. On the outside walls you can use insulated headers and advanced framing techniques. Advanced framing may save 30 or more studs in the typical home, and allow for better insulation in the exterior walls which improves energy efficiency. And 30 studs saved from every new home built adds up to a huge number over time in terms of the environment. Another important thing is air sealing. We want to seal up the building envelope of the house as tight as we can to control where air leaks in our out. That affects air quality - because if air leaks in through the walls we can’t filter it or control it nor control comfort and energy efficiency. So we need fresh air in the house, but we need to control that fresh air, and ideally filter that fresh air. Good air sealing includes wrapping the house, caulking the bottom plate to the subfloor and so on. Many times the trades can be our worst enemies on sealing – you put the electric meter on the outside of the house and it needs a 3” hole but they cut a 6” hole, then you have a leak. DDHP: What about other products for the home? Any advice there? Todd: When it comes to finishes think about the materials in terms of what off-gases, what’s renewable, what’s efficient when it comes to heating and cooling, and so on. Lots of times there are tradeoffs involved. A good example is engineered lumber – I-joists and things like that. On the one hand, it’s green because it’s made up of compressed wood chips instead of dimensional lumber, but on the other hand it typically contains formaldehyde in the glue and that can affect indoor air quality. So you have to weigh the pros and cons of materials and make the best choice possible. We’re using a lot of tankless water heaters now, but tanked water heaters can be efficient if you specify a high-efficiency model. Window choice is important – definitely choose Low-E or anything with the ENERGY STAR mark. Pretty much anything that carries that ENERGY STAR label is going to be a good, logical choice for energy efficiency. DDHP: Where do you recommend homeowners look for information about building green? 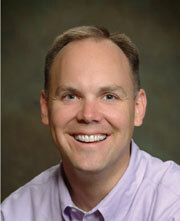 Todd: I think the ENERGY STAR mark is the best place to start for both builders and homeowners. We’re all familiar with the ENERGY STAR sticker on appliances, but many people don’t know that ENERGY STAR also offers a program to qualify a home in its entirety. ENERGY STAR qualification serves as the baseline for many of the other green building programs including EarthCraft House™, LEED® for Homes, the new NAHB National Green Building Standard. DDHP: How do you go about getting your house certified? Todd: To have a house qualified under the ENERGY STAR program you work with a home energy rater, also called a HERS rater (Home Energy Rating System). They work with the builder to perform an “energy model” for the home using a sophisticated software program to calculate the energy performance of the house and determine its projected score. If the house performs 15% better than the 2004 energy code, it passes; if it’s not, it fails. The score is based upon a 100 point scale, with a 100 being a house built to the 2004 energy code, and every point under 100 representing a 1% performance improvement all the way down to zero, which is a zero energy home. 85 is the required minimum score for ENERGY STAR qualification in our climate zone, and anything under 85 is gravy - but the lower the better. The lowest home we’ve built with traditional construction scored 55, so that’s a home that performs 45% better than the energy code requirements. DDHP: Do you think this software is helpful for making decisions during construction? Todd: It’s a great tool because you can literally see how the decisions you make will impact your final score. For example, you can say, “what if I upgrade to R19 insulation, what will that do?” and you plug it into the program and it tells you. Ideally you should have the energy rater create the model before construction begins, so they can evaluate all options prior to construction, such as building orientation on the site. We are certified energy raters along with being builders, so we can perform our own energy models to show clients, but we still have a third party energy rater certify our homes. We use the software to help our clients figure out the best way to build the home. Sometimes the model points out things that can’t be changed. For example, we’re building a house now that faces West, which is not ideal, but that’s the way it works best on their lot so we have to work around that. But within that energy model we can play with the other variables, look at what different efficiency heating/cooling does to the utility bill, and maximize efficiency where we can. DDHP: Does ENERGY STAR Certification affect the building process in any other ways? Todd: After creating the energy model, the energy rater performs pre-drywall inspection to grade the insulation, which gets entered into the score. And then at final inspection the home energy rater performs two tests on the house, a blower door test and a duct blaster test. The blower door test simulates a 20 mph wind on all sides of the house, and a calibrated fan measures the amount of air leaking into the home at this negative pressure. This gives a relative gauge on how tight the house is, and on subsequent energy performance. During the duct blaster test the inspector tapes off all the vents, pressurizes the duct system and then measure how much air is leaking out. This will indicate how well the HVAC contractor sealed the ductwork. The scores on these test affect the overall ENERGY STAR rating, but you have to be under the maximum allowable leakage for each to even qualify. All these tests get factored into construction cycle time - it’s just like having the framing inspector come out. From a consumer standpoint, third party testing for ENERGY STAR is significant when building a new home. The benefits of third party inspection provide homeowners with peace of mind and the value of certification. Depending on where you build you may have to do the legwork to find an energy rater in the area if your builder is not already familiar with one. DDHP: How big of an impact to you think green building is having on the environment? Todd: I think it is having an impact but probably not enough. I believe it will continue to have a bigger impact, but there’s so many factors at play. There’s still relatively few builders using these techniques – probably five percent or less right now. The interest is building and I think will continue to build. I heard someone say at last year’s green building convention that this will just be the way everything’s built in ten years. It won’t be “green building,” it will just be “building.” I think to some extent that’s true. Slowly but surely the industry will come along to better building practices. - Choose a builder who is willing and familiar with building green. Experience counts, but if your builder is new to green building it’s ok as long as they’re willing to learn. Ask them to work with an energy rater to learn the best way to build your home. - Have your home ENERGY STAR certified by a third party inspector. Building to meet the ENERGY STAR certification will automatically mandate that you use energy-efficient products and that the house will meet minimum standards for indoor air quality. Todd Usher’s site not only highlights his building experience, his newsletters are filled with useful information that anyone building a home will find helpful. Learn about whole house certification and research products that carry the ENERGY STAR label. 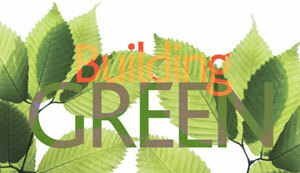 The National Home Builder’s Association’s new green building guide is packed with useful info. A regional, holistic building certification program available in the Southeast states. LEED for homes, a program of the United States Green Building Council. A useful site for learning about water conservation in the home. The main site ( www.epa.gov) also has information on indoor air quality, clean energy, land and site planning, and much more.